Grant Morrison (All-Star Superman, Final Crisis, Happy!) is joined by superstar artist Liam Sharp (The Brave and the Bold: Batman and Wonder Woman) as together they explore just what makes Hal Jordan tick. It all begins when Earth's Green Lantern encounters a mysterious alien hiding in plain sight, setting off a chain of events that will bring the Green Lantern Corps to its knees. There's an intergalactic conspiracy afoot, as well as a traitor in the Green Lantern Corps' ranks. 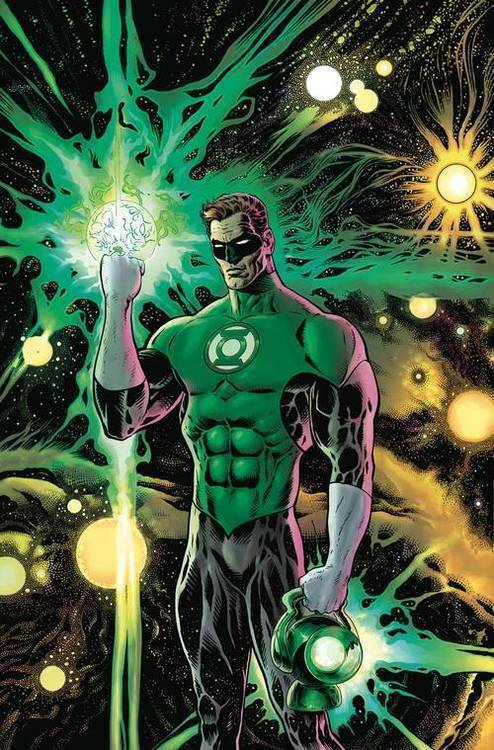 Hal Jordan has faced the universe's greatest threats, but what he faces next will challenge everything he believes in. The rules of planet Earth do not apply in outer space. To what lengths will Hal Jordan go to get his man? Find out in this mind-bending adventure that will forever change how you see the Green Lantern Corps! Collects issues #1-6 of the hot new series!